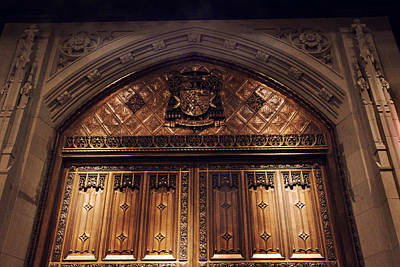 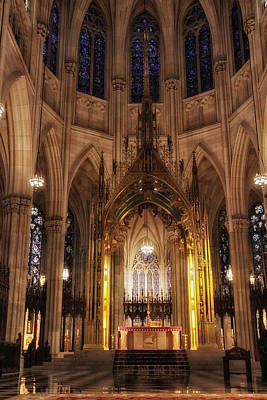 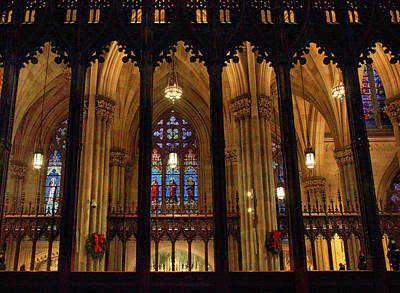 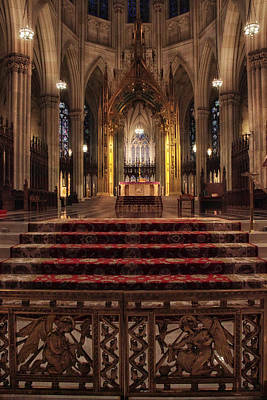 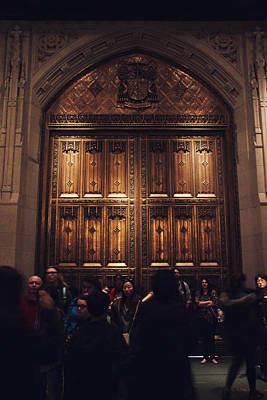 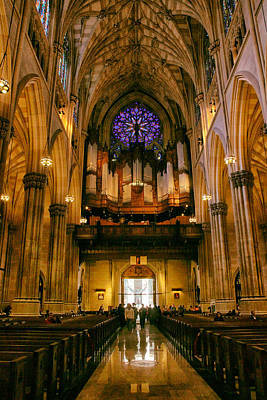 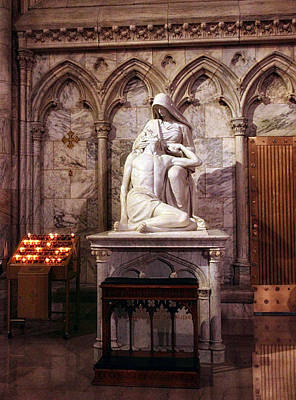 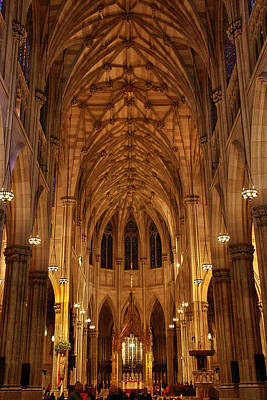 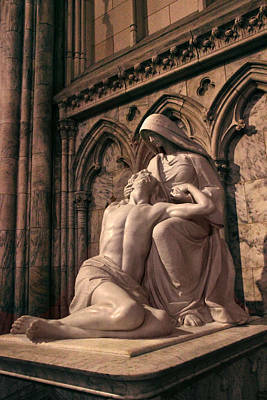 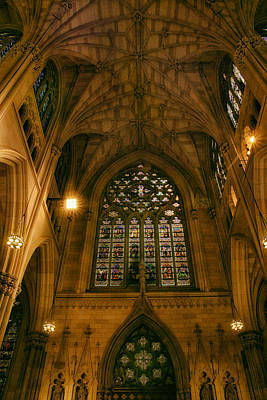 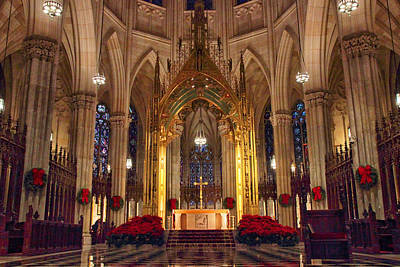 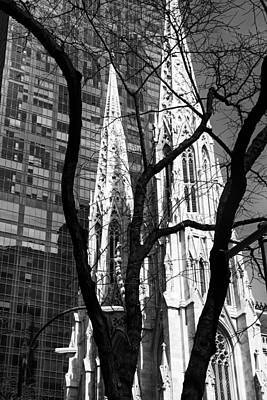 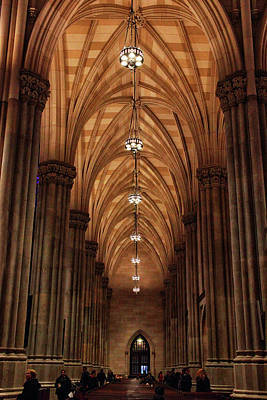 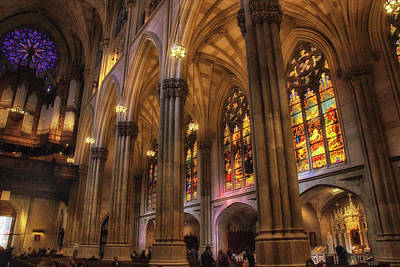 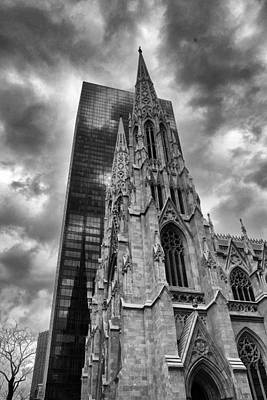 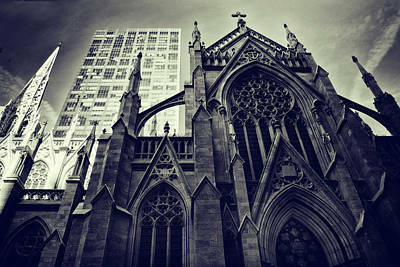 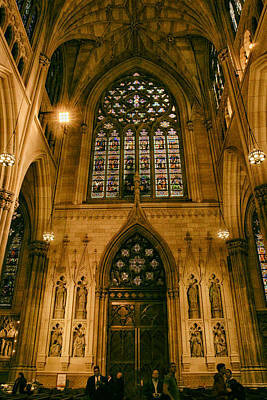 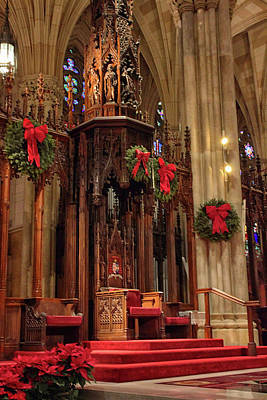 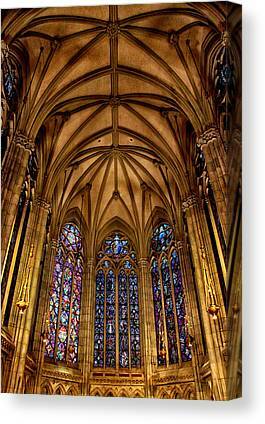 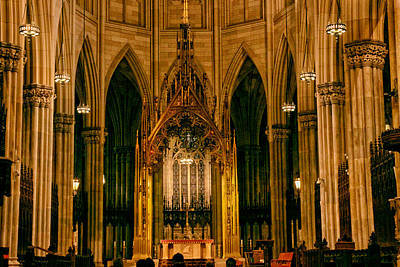 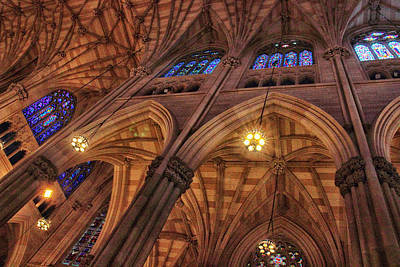 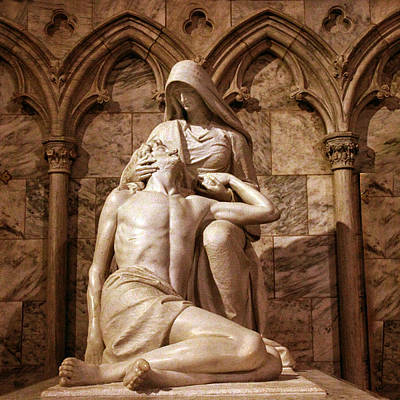 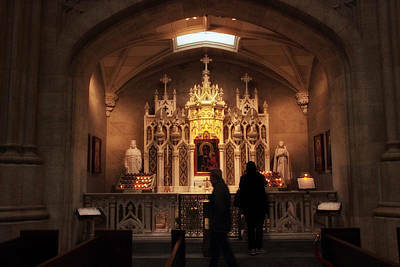 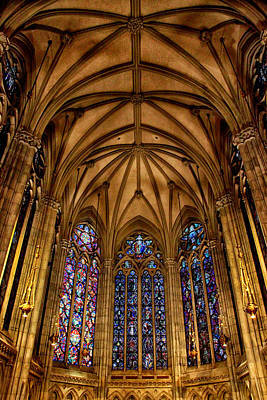 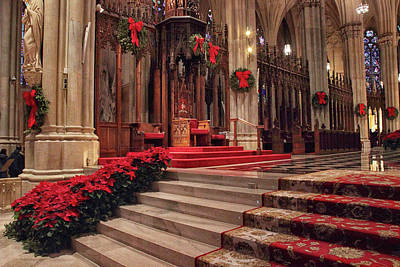 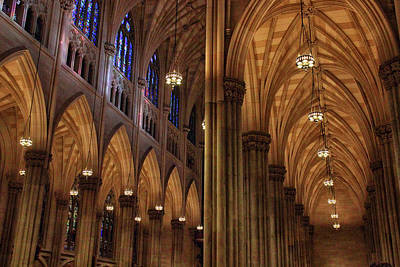 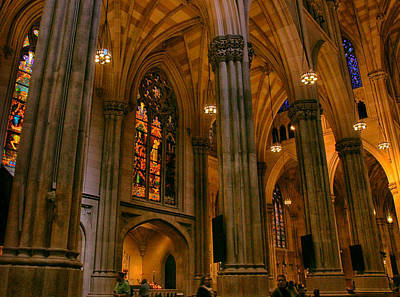 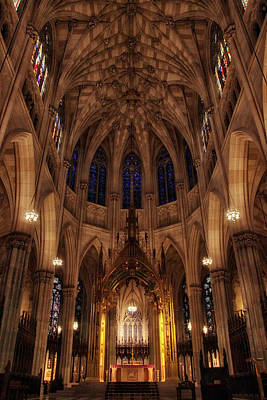 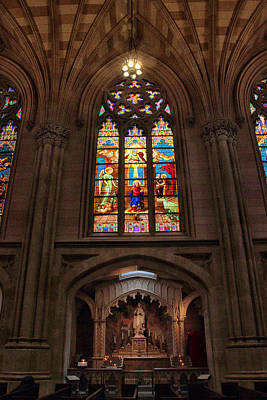 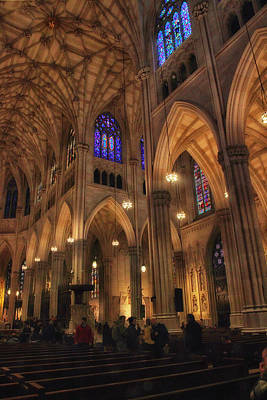 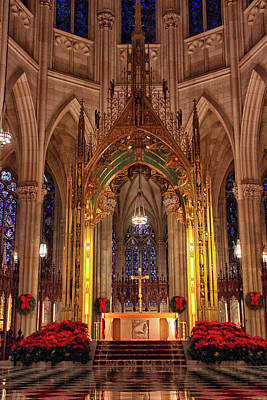 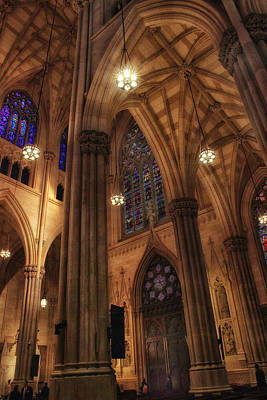 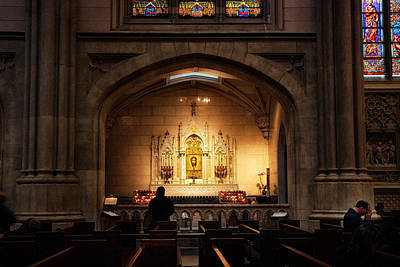 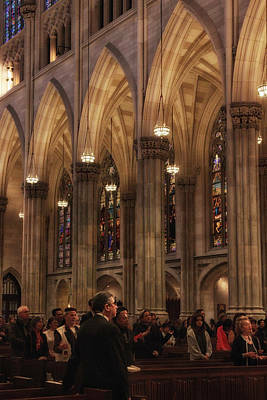 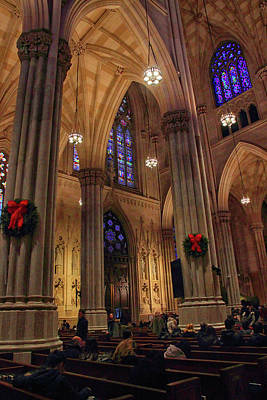 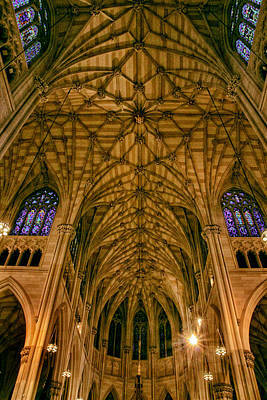 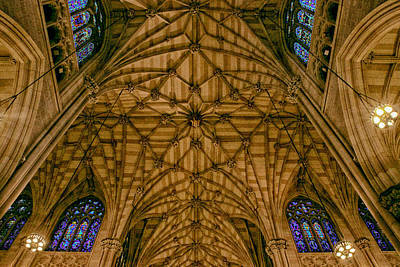 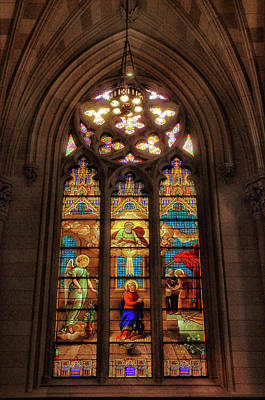 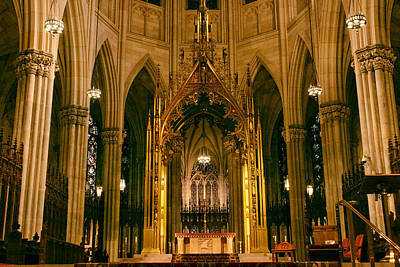 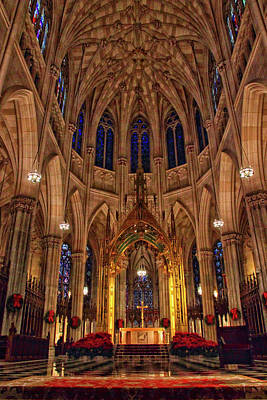 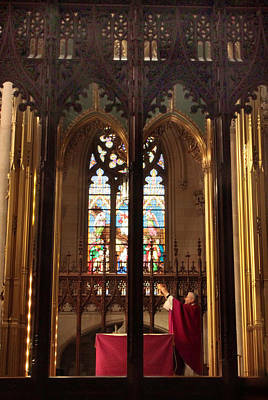 Images of St. Patrick's Cathedral in New York City. 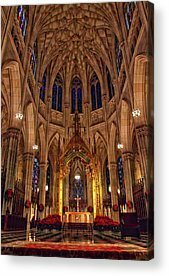 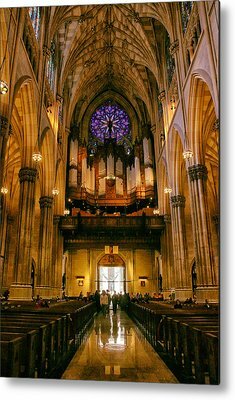 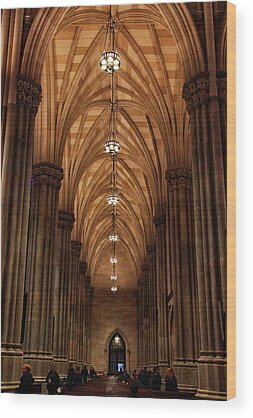 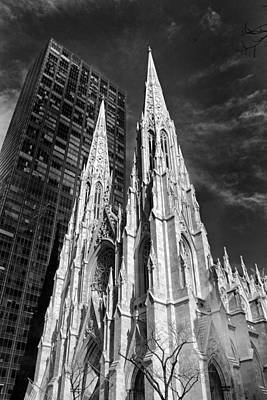 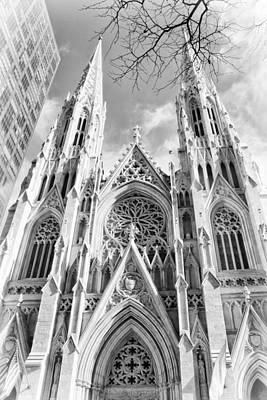 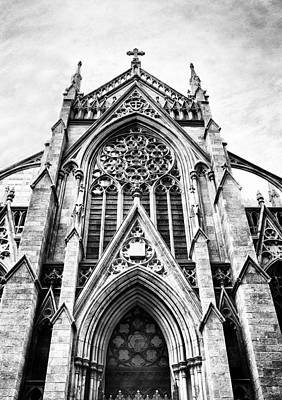 The Cathedral of St. Patrick (commonly called St. Patrick's Cathedral) is a decorated Neo-Gothic-style Roman Catholic cathedral church in the United States and a prominent landmark of New York City. 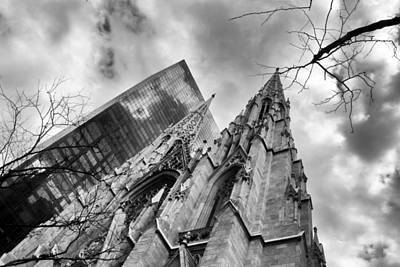 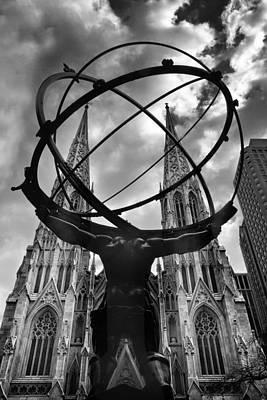 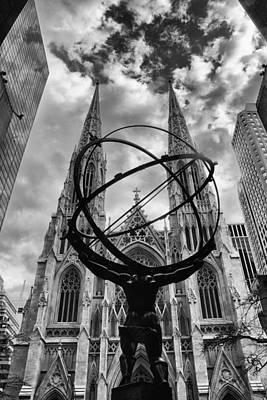 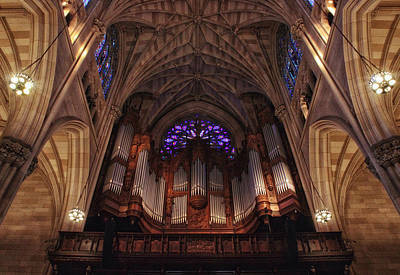 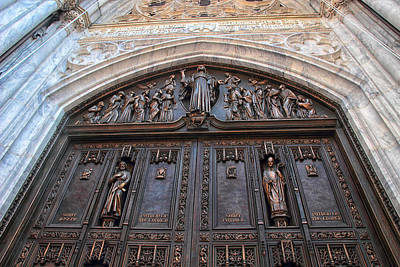 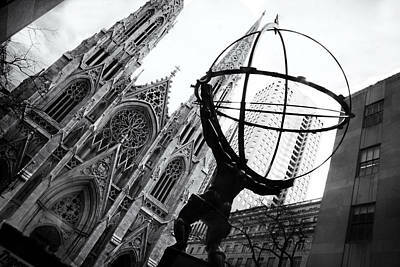 It is the seat of the archbishop of the Roman Catholic Archdiocese of New York, and a parish church, located on the east side of Fifth Avenue between 50th and 51st Streets in Midtown Manhattan, directly across the street from Rockefeller Center and specifically facing the Atlas statue.